GEORGETOWN, Del. 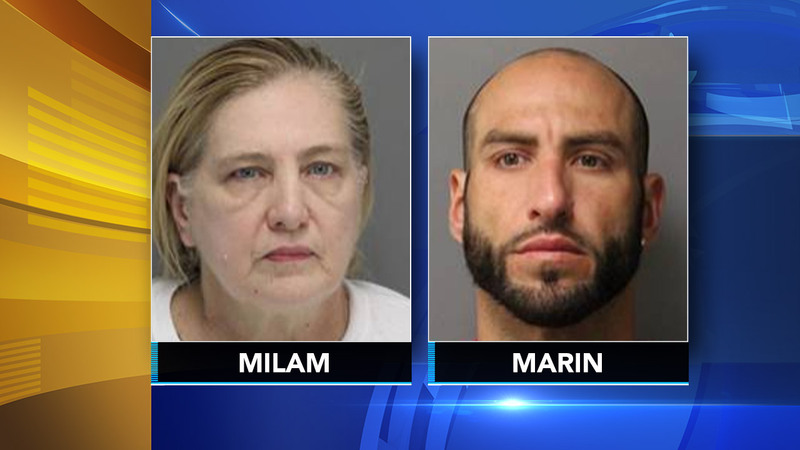 -- Delaware officials say a Pennsylvania woman has been charged with trying to smuggle drugs to her son in prison. Department of Correction officials say 57-year-old Donna S. Milam of Avondale was arrested Tuesday at Sussex Correctional Institution. Thirty-five-year-old Marco Marin, who is being held at SCI awaiting trial on unrelated charges, also was arrested. Officials say investigators obtained arrest warrants after Milam allegedly mailed an illegal substance to her son earlier this month and that the two planned to exchange contraband during a scheduled visit by Milan. Officials say the incident involved suboxone, a drug used to treat people who are addicted to heroin or opioid painkillers. Milam was taken into custody in lieu of $12,000 secured bail. Marin was issued a $10,000 secured bail.